Thank you to all of our sponsors, race participants, volunteers, and community groups for their efforts in making the 2017 event a success. Special thanks to Valencia Methodist Church for allowing the race to use their property for a mid-course relief station. We would also like to give special recognition to the Adams Twp, Middlesex Twp Supervisor Boards, Valencia Borough, and PennDot for authorizing this event. Special recognition also to Adams Township Police, Middlesex Township Police, Middlesex and Adams Twp Fire Police, and Quality EMS for providing race course security and EMS services during the event. Thank you also to the community members for being patient during the time the race may have impacted their schedules. This is a true community event. Thanks again to all that were involved. The Mars Area Band Boosters organization held it's Inaugural "Mars Band on the Run" 5K Run/Walk on Saturday, May 16, 2009. We had 222 enthusiastic runners/walkers ranging in age from 8 to 85. Participation has steadily grown. Our 2013 race saw over 650 participants come out on a sunny day to run through the Adams Township countryside. 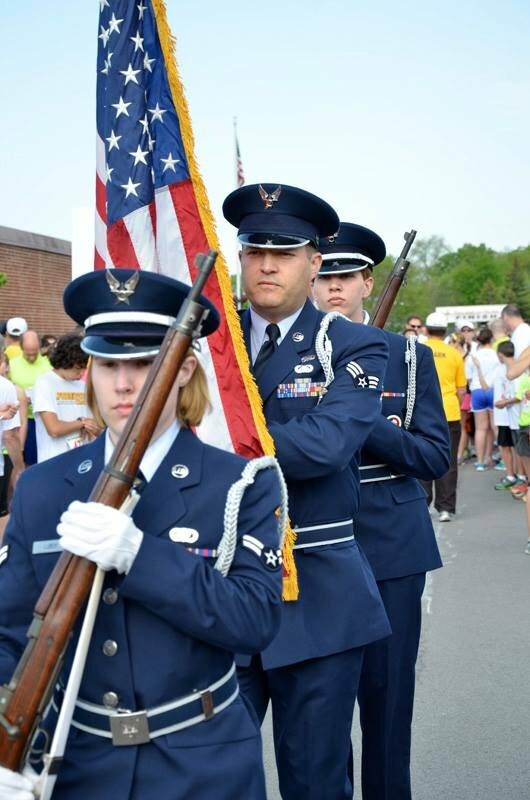 Our race features a military Honor Guard presenting the flag as the High School Band plays our National Anthem just prior to the race. 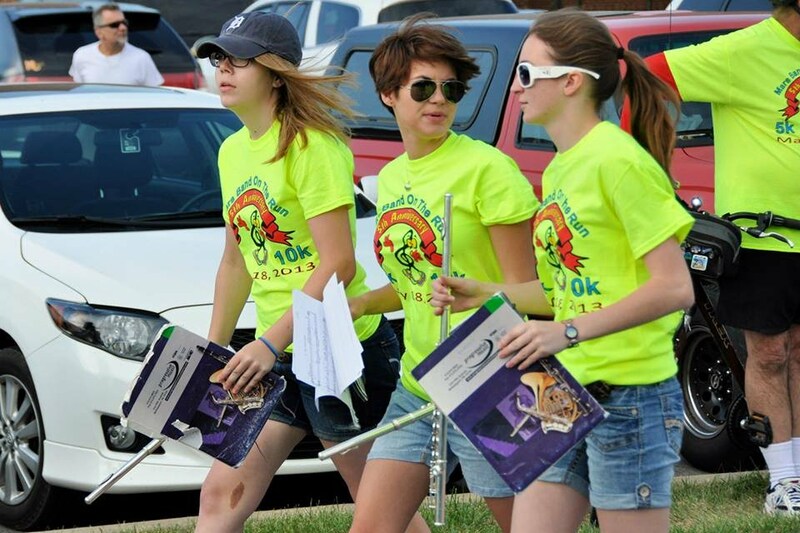 Band members then disburse and take positions along the course and provide entertainment as runners pass by. At the conclusion of the race, runners are treated to an "Out of This World" post-race party complete with prizes, awards, a DJ, and complimentary food and beverages. Our 2017 race will again return the 10k event along with putting a lot more FUN in the Kids Fun Run. Thank you to everyone that volunteered their time to ensure that the success of the race and thank you to the participants for your support of the Mars High School Band. The Mars Area Band Boosters Inc promotes a quality event. Timing services are provided by Runner's High. The race is electronically chip timed. Additionally, the course is sanctioned by USATF . We also receive the support and expertise of many individuals and companies involved in organizing, sponsoring, and promoting other major race events in the Western Pennsylvania area. We have applied their years of experience, knowledge, and advice to this event and believe that you, the participant, will find that this race will be both competitive and enjoyable. You can run competitively if you choose, or walk the course and enjoy the scenery. Either way we think you will enjoy this event. For potential donors and sponsors, we are sending out over 5000 flyers, mailers, and registration forms to potential registrants. These flyers wiil be mailed, posted on local business bulletin boards, and stuffed in handout packs at other western Pennsylvania race events. And...............for all of our participants, there will be a post-race party complete with food, music, and raffle prizes. So sign up, enjoy the race, and have fun. Just north of Browns Hill Rd. Tom Henry, owner of Tom Henry Chevrolet, donated $1.00 for every runner who beat his finish time in the 5k! Runners receive a high-quality tech shirt imprinted with the race logo and sponsor names/logos as part of their prepaid registration fee. Top runners receive medals. See the registration page for details.